The Board of Directors of Smart Dubai Office (SDO) held its 10th meeting, which was presided over by H.E. Saeed Mohammed Al Tayer, Chairman of the Board. Al Tayer congratulated the board members on the successful completion of the first phase of the Smart Dubai Plan, which proved that all the concerned parties were determined to mobilize efforts to fulfil the vision of His Highness Sheikh Mohammed Bin Rashid Al Maktoum, Vice President and Prime Minister of the UAE and Ruler of Dubai, for Dubai to become the smartest and happiest city on earth and a benchmark for smart cities worldwide. He also thanked the work team of SDO and its affiliates for its dazzling success achieved in co-operation with all government and private entities in Dubai. The meeting reviewed the Smart Dubai Strategy 2021, launched at Smart Dubai’s "Future Now” event by His Highness Sheikh Hamdan Bin Mohammed Bin Rashid Al Maktoum, Crown Prince of Dubai and Chairman of the Executive Council, where he announced that Dubai Government will celebrate the end of the era of paper government transactions by issuing the last printed government document by 2021, enabling Dubai to become in the upcoming period the first government in the world to conduct all its viable transactions using the blockchain technology. 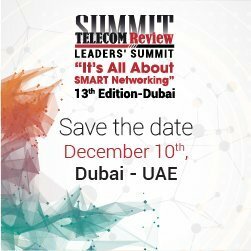 While SDO has already drafted a roadmap for paperless transactions to respond to any inquiries in this connection, paperless transactions have actually started to be conducted in 3 major government entities: The Roads and Transport Authority (RTA), Dubai Electricity and Water Authority (DEWA), and the Department of Economic Development (DED). The board members also discussed the further steps for this strategy to be implemented and managed with the aim of creating a flexible city that offers its inhabitants smart lifestyles, and facilitated smart services and seamless smart mobility through shared and smart transports, which will contribute to a clean and sustainable environment under a competitive global economy supported by cutting-edge technology and sponsored by a highly efficient, connected digital government. Marking the event, Al Tayer said: "In order to fulfil the vision and directives of His Highness Sheikh Mohammed Bin Rashid Al Maktoum, Vice President and Prime Minister of the UAE and Ruler of Dubai, for Dubai to become the smartest and happiest city in the world and in a bid to support the emirate's smart transformation, we are sparing no effort to implement the Smart Dubai Strategy 2021, which was launched by His Highness Sheikh Hamdan Bin Mohammed bin Rashid Al Maktoum, Crown Prince of Dubai and Chairman of the Executive Council, and is regarded as an ambitious roadmap for all the city's components including its government, businesses, society, individuals, resources and infrastructure. To this effect, we are striving to consolidate Dubai's position and bring its services to higher levels while providing a safer and more efficient and seamless life experience for its citizens, residents and visitors." Meanwhile, H.E. Dr Aisha Bint Butti Bin Bishr, Director-General of SDO, highlighted the major milestones achieved by SDO and its subsidiaries of Dubai Data Establishment (DDE) and Smart Dubai Government Establishment (SDG). She demonstrated the Dubai Pulse platform, which will host Dubai's data and the backbone of the emirate’s smart transformation, and underlined the Dubai Smartpreneur Competition, which was launched by Dubai Chamber in collaboration with SDO and received nearly 700 innovative ideas, of which 50 ideas were picked for the second phase. Bin Bishr also underlined the graduation of 13 male and female employees from the Masters of City Science, a program taught by Rochester Institute of Technology (RIT) in Dubai and New York, and DDE's launch on May 3 of its 3rd compliance training course to provide government employees with the required data skills. In addition, Bin Bishr presented details about Smart Dubai's participation in Smart Cities NYC 2017, a conference where Smart Dubai's experience and achievements were showcased and attracted global attention. She pointed out that SDO won three prestigious awards at Dubai's .Gov Awards 2017 and unveiled the collaboration of SDO and government and private entities to launch Dubai Smart City Accelerators as the first host of smart cities in Dubai. Later, Bin Bishr talked about the launch of the Dubai Data Economic Impact Report at ArabNet Digital Summit which showed that open and shared data would result in a Gross Value Added impact of AED10.4 billion across every sector in Dubai from 2021. She also gave an explanation about the launch of Dubai Now platform, a smart one-stop-shop for all Dubai Government services launched by SDG on May 15. "Dubai has succeeded in transforming itself into a world-class smart city of a pioneering position, thanks to the ambitious vision of His Highness Sheikh Mohammed Bin Rashid Al Maktoum, Vice President and Prime Minister of the UAE and Ruler of Dubai," Bin Bishr said, adding that SDO continued to work diligently and kept abreast of the global experiences and as a result it avoided the mistakes made by many countries and hence achieved dazzling successes at all levels and later motivated all government entities and collaborated with the private sector, all this for Dubai to be the happiest and smartest city on earth. "We look forward to having a delightful living experience for all Dubai inhabitants in all walks of life. The next few years will witness great achievements in terms of economy, environment, individuals, mobility and governance, which would provide a high-quality life in Dubai. By having a clear vision supported by an ambitious leadership that seeks people's happiness and by harnessing the latest cutting-edge technology to serve people, we can provide the smoothest high-quality life for Dubai inhabitants, enabling them to have an actual experience of the happiest life in Dubai," Bin Bishr said. The meeting was attended by H.E. Ahmad Mohammed Bin Humaidan, Vice Chairman of the Board, the board members H.E. Dr Aisha Bint Butti Bin Bishr, Director-General of SDO; Brigadier Khalid Nasser Al Razooqi, Director-General of Smart Services Department at Dubai Police; H.E. 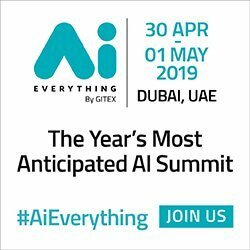 Yousef Hamad Al Sheibani, Director General of Dubai Centre for E-Security; Mohammed Abdullah Al Zaffin, Director of IT Department at Dubai Municipality; and Abdullah Ali Al Madani, CEO of Corporate Technical Support Services at RTA; and Eng. Saud Aziz, Board Rapporteur.